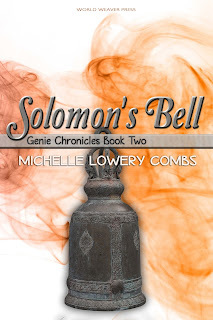 Solomon’s Bell is the second book in the Genie Chronicles and follows thirteen-year-old main character Ginn Lawson as she contemplates bartering her first kiss for what she hopes is the information needed to save her family. Caleb Scott, an older boy and Ginn’s longtime crush, is a descendant of Grimms, members of the Order of the Grimoire, who’ll stop at nothing to possess a genie as part of their magical menagerie. Caleb turns from the Order in hopes of proving his devotion to Ginn, but when Ginn asks Caleb to return to his Grimm roots to help save her family from the clutches of a golem, Caleb has but one request: a kiss. Ginn agrees, only to worry later that it’s been bad luck to barter her first kiss for intel on her most dangerous enemy. As the story progresses and Ginn is swept up in an adventure of battling golems both at home and in 16th Century Prague, she forgets about the promised kiss; but that’s never the case for Caleb. Will their romance burn bright or is Caleb’s past and their new mission too dark to let in the light? What was one of the most surprising things you learned in creating your story? I did an incredible amount of research both before and while writing Solomon’s Bell, and in the process, fell in love with Prague. I can close my eyes and picture the Vltava River and the spires of the castles and cathedrals jutting into the sky like long, dark fingers. The history of the Jewish Quarter and Old New Synagogue, where legend has it the Golem of Prague was stored in an attic until it turned to dust, were fascinating to discover via research. I hope I get to see the city in person someday. Do you have any interesting quirks or rituals? I write from home for the most part and have only one “rule” for my writing space, which happens to be at a desk in my bedroom, and it’s that I not be able to see any laundry, even from my peripheral vision, while at my desk. I have five kids still at home, so laundry…and lots of it…is a constant battle for me. My kids are great about changing out loads, but they dump everything from the dryer onto my bed for folding, and if I’m trying to write, especially under a deadline, I just cannot deal with the sight of it. It becomes a huge distraction, and I end up folding laundry instead of writing. Sometimes I open my bedroom door after a writing session to find a wall of clean but unfolded laundry in baskets on the other side of the threshold waiting for me. What authors or friends influenced you in helping you become a writer? I had a teacher in high school who recognized my talent for writing and invested in me. She sent me to journalism conferences at the University of Alabama and Washington, D.C. to hone my skills. She made me Editor-In-Chief of our school paper, even though it was an honor I didn’t think I deserved and a responsibility I didn’t think I was ready for. I rose to each of those occasions because she believed in me, and eventually I began to believe in myself. I became a writer because she first made me believe it was something I could do. Her name was Melanie Houston, and she died of breast cancer a few years after my high school graduation. I dedicated my first book, in part, to her. What does your family think about your career as a published author? Most of my kids are teenagers, so almost everything I do in their opinion is pretty lame. I have managed to drag them to a few literary festivals and the fantasy, scifi, and comic conventions I’ve been invited to every year since the Genie Chronicles has been in publication, and we’ve made some good memories at those events. It’s those times they get to see there’s more to this writing thing Mom does than being trapped at a desk with fourteen loads of laundry at her back. On the flipside, my husband and extended family are super proud and supportive of my writing career. Besides writing, what other interests do you have? Our family has a twenty-five-acre farm and uses the produce we generate to sell at our local farmers’ market and source my sister and a business partner’s restaurant. The farm and the restaurant are named after our grandmother, PondeRosie Farm and Rosie’s Gourmet-to-Go, respectively. I spend most of my free time at the farm, market, or restaurant, where my three middle children all have afterschool jobs. It’s a labor of love for our entire family. Can you tell us what is coming up next for you? While there is definitely a third Genie Chronicles installment in the works, I’ve begun to contemplate a fourth. I also have a coming-of-age historical novel set in 1960’s Alabama that I’m eager to finish. Both projects involve extensive research, so I’m trying to balance that aspect of each while setting aside time to get actual words on the page, as they say. How can readers connect with you online? Some of the most fun I have writing is over at my blog, Through the Wormhole: Confessions of a Bookworm. 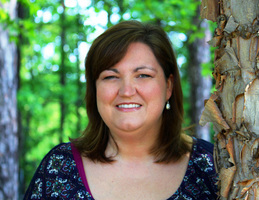 Readers can also find me at my website www.michellelowerycombs.com, on Facebook as Author Michelle Lowery Combs, Twitter @miclowery77, and on Instagram. To save her family, Ginn uses her newfound genie powers to transport herself and her friends to 16th century Prague. Only one thing there remains the same as at home: she can't let anyone know what she really is. The Emperor of Prague and those closest to him are obsessed with magic. In pursuit of it, they’ve waged war on the citizens of their city. In the citizens' defense, someone has brought to life a golem, a dangerous being with connections to an artifact capable of summoning and commanding an entire army of genies. Can Ginn escape the notice of the Emperor as she attempts to discover a way to defeat Prague’s golem in time to save her family from a similar creature? 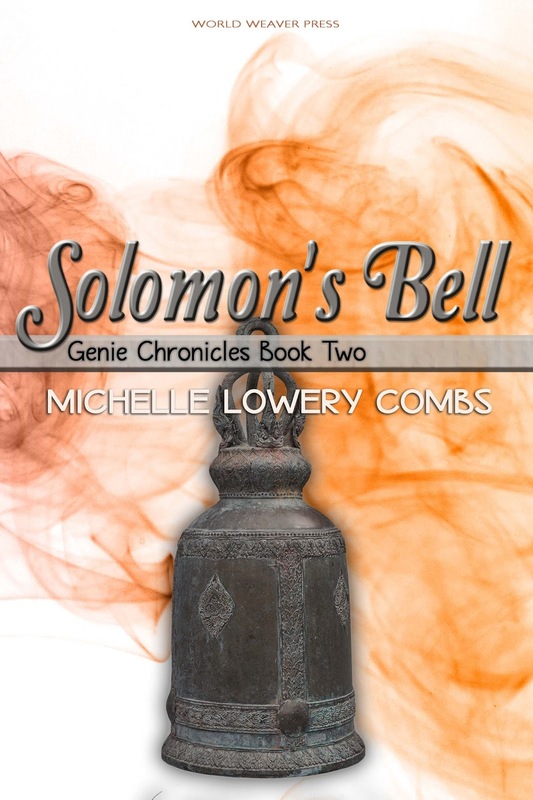 Solomon's Bell is the sequel to Heir to the Lamp and the second book of the Genie Chronicles series. Grab your copy now! Haley Hardy blinks up at me, her big blue eyes made larger with surprise. Haley’s the newbie: a tiny ten-year-old my family has been fostering for the last few months. Mom and Dad want to adopt Haley, but she hasn’t decided on Charles and Molly Lawson and their chaotic brood of six children yet. “What’s up, Haley?” I ask, trying to sound as though I don’t know she’s seen me appear from out of nowhere. I turn my back to her, retrieve the lamp from the ground, and stuff it into my pack. Half the time I have no idea what Haley is talking about. She’s insanely smart—a genius even. I can practically feel my IQ plummet whenever I try to have a conversation with her. “Um, really?” I ask, trying to imagine where this is going. Haley half turns toward the open door of the small barn as if she’s about to leave. “Haley, where do you come up with this stuff?” I sink onto the wooden bench behind me, peering into the bright eyes of the strangest kid I’ve ever met. “I like to read,” she says, looking away. Between her right thumb and first two thin fingers, Haley rolls the fat glass marble she carries with her at all times. Mom says it’s a kind of security object, like how some kids develop attachments to stuffed toys or blankets from their babyhood. Mom also says the rest of us kids shouldn’t make a huge deal about it. Haley’s been in six foster homes in five years, and Mom figures the marble could be a keepsake from her life before all that, though Haley hasn’t said as much. She’s so intense sometimes; I don’t think anyone knows what to make of her. Mom says some of the other foster families exploited Haley; she’s been on a major talk show and even won twenty-five thousand dollars for one of her foster families on some game show before they abandoned her on the steps of the Children’s Methodist Home on their way to Las Vegas. Watching her with her marble, seeing how slowly she works the ball of glass flecked with every color of the rainbow, I can tell I’ve hurt her feelings. My parents are homeschooling Haley; they say it’s for the best. She’d be at least a junior at my high school otherwise. I can imagine all four and a half feet of her struggling on tip-toe to reach a locker—that is if her statistics about the Loch Ness Monster didn’t get her stuffed into it. “I’m happy to tutor you,” she tells me. “Thanks. I’ll keep that in mind.” I stand and watch Haley eye the backpack on my shoulder. She looks from my face to the pack a few times. I think she’s about to say something about what she’s seen or thinks she’s seen with the lamp when Jasper bursts through the barn door. “It’s highly unlikely that a goat sucker or el chupacabra would be found this far north of Latin America, Jasper,” Haley says. She corrects my seven-year-old brother even as she allows him to tug her excitedly from the barn. Promo: Win a Julie Ann Walker book!